You are here: Home / Blog / Emergency Preparedness / Why Hurricane Shutters? A number of years ago after Hurricane Andrew I bought a house. I decided to do some research on how to protect my home in the event of a hurricane. As a computer guy the first thing I did was go to the internet. I went to the National Oceanic and Atmospheric Administration Website and visited their research division. I found a ton of information about hurricanes and what to expect. It also touched on how to protect your home. Many people in Florida always ask should I put up storm shutters and when. There is no easy answer on the subject. I also don’t claim to be an expert, but after reading reports and doing a ton of research I figured I would show my findings and how I protected my home from three back to back hurricanes. I would like to credit Mr. Stan Goldenberg at NOAA as a great resource of information for this article. There are thousands of ways to put up storm shutters in Florida. There are hundreds of companies that are willing to charge you to do it. Which is the best type of shutter? Who should you trust? These are all good questions and the answers depend on your situation and ability. One of the most commonly asked questions is should I tape my windows if I don’t use shutters? NO!!! There is no protection against flying debris and it does not protect the glass from blowing all over the place. It does not add much strength to the glass and your time would be better spent on acquiring and putting up shutters. And after the hurricane you get the great pleasure of scraping off all that tape which did nothing in the first place. Next question asked a lot is what about that plastic film? Can’t you just tape up the whole window? NO!!!! The plastic film is good for protecting your family from shards of flying glass if your window breaks from flying debris. But then the windows needs to be replaced, and you still have the damage from the wind and rain getting into the home after the window breaks. If you put up shutters instead it would remove the issue of having to protect from shards of glass since the window would not be broken in the first place. So where should you get hurricane shutters, and who should you trust to install it? First do your research. Find out if you are able to do the install yourself. If you don’t feel comfortable doing it then look for a company in the same fashion you would for any service. Make sure they are licensed and ask questions. Check them out with the Better Business Bureau or local contractor association. When you talk with the contractor make sure you understand what they are offering. Don’t get pushed around. 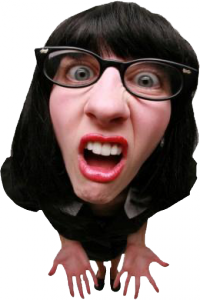 If you don’t like the installer, or feel pressured into making a decision right now, STOP and talk to another company. You are trusting this company with the safety of your family and home. Be sure they are knowledgeable enough to do the job and inform you on how to use the shutters. You won’t learn much from someone that you can’t understand or get along with. What type of shutters should you get? Well there are many kinds of shutters, and the right one for you is dependent on your needs and ease of use. Awning shutters were quite popular in the 70s and still do a good job of providing hurricane protection to the home. Hurricane grade awnings are usually made of metal and provide shade to the window when not used for protection. These shutters stay installed and just have to be lowered to provide protection. Different models require one or two persons to lower the awning and it requires very little strength. Bahama Shutters are very similar in nature. They also stay on the window and provide shade protection. They are usually made of wood and are louvered. Lowering them requires similar effort and larger windows would require two persons. Accordion Shutters became quite popular since they are easier to deploy. They are permanently installed to the window and usually housed in a box to the side of the window. They are pulled from the sides and usually lock in the middle. Some versions have a track on the top and bottom to make it easier for one person to deploy. Automatic roll down shutters are great for those that have the budget. They are permanently installed on the window and usually made of PVC or metal louvers. They are housed in a box above the window and roll down along a set of tracks on the sides of the window. They can be motorized for those that want protection with the flick of a switch. Now there are many more shutters out there and so far I have shown the ones that stay permanently attached to the window. There are other kinds that are a lot cheaper and can be stored in your garage. Now the pitfall to these types of shutters is that you would have to be physically able to put them up when a hurricane warning is announced. Some larger windows may require two people to put them up. Storm panel shutters are normally made of steel or aluminum and can be heavy. They are a lot cheaper than the other versions and can be raised into a steel channel which is anchored in place prior to installation. Then you have plywood. Now you are used to seeing the videos on the news of hundreds of people waiting in line at the hardware store getting plywood. This is the cheapest way to go, but is it the safest? If installed incorrectly a plywood shutter can become a flying missile that can damage your home or the home of your neighbors. Many people get the cheapest plywood they can find and using some concrete nails to attach the plywood over the top of the widow opening. This is very dangerous. Since the plywood is over the top of the window wind can whip behind the plywood and pull it off still applying pressure against the window. I remember a few years ago as I was getting my plywood, watching people getting wafer board and other materials thinking it would protect them. As someone who is not wealthy enough to pay for commercial shutters and certainly with these economic times don’t have the extra money to pay someone else to install them, I figured I would show you how I made my shutters. After I put up shutters many of my neighbors asked how I did them. Some asked if I could make some for their homes. First off, DO NOT make shutters for someone else unless you are willing to take up the liability for doing so. As much as I would love to help people before a storm, we are in hard economic times with a wealth of ways to sue people. Don’t put yourself in jeopardy by helping anyone with shutters unless you have a license to do so. Only work on your own house. This guide in no way guarantees protection to your home or adheres to any hurricane building code. But it worked for me and my family and many of my neighbors also built shutters in the same fashion and received no damage to their windows. ¾ inch plywood covering the size of each window. If you are not sure take your measurements to a sales person at your local lumber store and they are usually happy to help. Do this before a storm is on the way, otherwise it will be too busy to get quality help. Buy a box of 3 or 4 inch barrel bolts. These are normally in your hardware section and are commonly used for fence gates. Don’t buy by the bag or piece if you can get a contractors box of them. You are going to need at least 4 per window and on the larger windows, one per two feet of linear border. I chose to get four for my small windows and eight for the big ones. Now that you have your wood and hardware, get all your tools together and work on one window at a time. Each window should have a opening that you have pre-measured. Most windows will have at least a two inch inset of the window from the exterior wall to the window. Using the saw cut the plywood to fit snugly inside the opening of the window. It is very import that you get a good fit. If the window is not square then use the plane to shave off a little plywood at a time to ensure a good fit. Once you are sure you have the plywood cut and it fits perfectly in the window, label the piece of plywood. Be sure to mark which side is the side facing out and what is the top. Also be sure to mention what window/room you are protecting. This step is very important. If your window is not square putting in the plywood upside down will not work and cause problems. Also if you label which window you are protecting, later when you are putting up a number of them you will be doing trial and error trying to figure out which shutter goes with which window. Now that the plywood is cut and fits in correctly, and you have labeled it you can go ahead and screw the barrel bolts to the panel. Be sure to install one on each side of the panel. For a larger window you should put a bolt every 24 inches or so. If the window is very large and the panel is too heavy to carry you may want to install a handle or two to make it easier to maneuver. If you are covering a larger area like French or sliding glass doors you can use a piano hinge to make two panels that will fold and store easily. Just be sure to have more barrel bolts to support such a large panel. Check to make sure each bolt can slide back and forth with ease and it is not time to put the panel back in the window. This time while someone is holding the panel in place mark where each barrel bolt slides up against the wall. Use a pen and be sure you draw a circle around the entire bolt. This will be sure you know exactly where the center is so you can drill the bolt holes. Now that the holes are marked pull down the panels again. Ensure you get a drill bit that will be the same size as the bolt you are using. Using the drill make a hole in the center of each mark that you have made in the inset of the window. 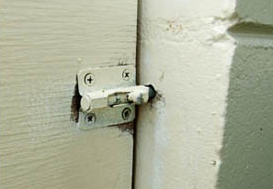 Be sure to drill in enough to allow the entire bolt to slide into the concrete and lock. Once you have made all the holes, bring back the panel and try to slide all the bolts in place. If any of them don’t slide in place right away you can lightly use a hammer to help it along. If it still does not work pull down the panel and make whatever adjustments are necessary and try again. Once it fits perfectly you can move on to the next window. When all the windows are done you may choose to waterproof them with a coat of varnish or paint. I painted mine. Oh but be sure if you paint over the markings of which window it was for and what way was up that you remark it after the paint dries. Find a dry, cool place to store the panels since heat and moisture can damage and warp the plywood. If this occurs it may require more adjustments before it will fit correctly. Now I am assuming you listened to me and did be way before there was a hurricane warning and people are running to the stores to get supplies. You have tested each window and are certain that you have a good fit and the bolts close perfectly. You have stored the panels in your garage or another dry place and are prepared with shutters if a storm was to arrive. OH my GOSH there is a HURRICANE WARNING!!!!!! Don’t panic; remember you got your shutters all ready. I hope you stored it in an easy to get to place and did not cover them with a bunch of stuff but if you did move the stuff that is in the way and get those panels out. Read on each panel which window it was designed for and which way is up. Move the panel to the window and place up on the window. Slide the bolts in place and if you have any resistance use a small hammer and lightly help that bolt along. After a few months of storing your panels the holes in the concrete may have be filled up with dust or insects. Using the hammer will remove any debris and get that panel up in no time. Now that you have installed all your panels, don’t remove them until after the storm and you are certain there is no more danger of flying debris. You may notice that with the panels up your home is cooler temperature wise. You may decide that some of the panels should stay permanently to keep certain rooms cooler. I don’t suggest doing that to any of your front windows but I have let some of the back panels up all summer long and it made a significant difference to my cooling bill. So there you have it. There are of course other ways to make and install plywood shutters. You can find that information by visiting the FEMA website or NOAA for more information. And realize just because you have your shutters taken care of, it does not mean you are completely ready for a hurricane. I will be posting more articles on subjects like “What should you have in your hurricane kit”, “How to prepare your yard for a storm”, “Saving your computer and data from a storm”, and “Talking with your children about what to do when the storm hits”. 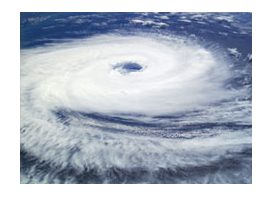 https://yourcomputersolutions.net/wp-content/uploads/2015/08/hurricane-1.png 299 788 Joe Boy https://yourcomputersolutions.net/wp-content/uploads/2015/01/logo-test4-300x138.png Joe Boy2015-08-28 20:57:342018-05-20 16:12:00Why Hurricane Shutters? Thank you for helping me learn more about hurricane shutters. It’s good to know that if you want to make plywood shutters you should try to get barrel bolts. I’m interested to learn if this is because these are more durable against storms or if they’re typically just used for any plywood shutters. Great question. First off was cost. You could use the barrel bolts directly into the wall and save the part that the bolt would normally slide into to support odd size windows. 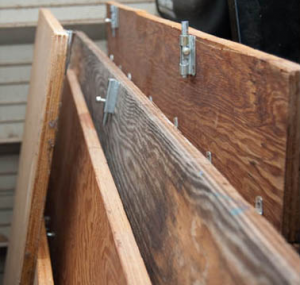 You only need one to two on each side of the plywood and well when people are scrambling around a Home Depot everyone is leaving the barrel bolts and Marine Grade plywood alone. 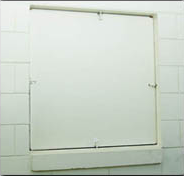 This cost less than $100 per window and so far I have used them for over 20 years. Yeah you got that number right. 20 years and the paint is still good on the wood and some I leave up year round to control heat and others we only put up during a hurricane. We have gone through a number of them here in Florida and they are worked perfectly. Now remember I said first off. Cause there is another reason. Ease of use. Because of the barrel bolt sliding right into the side of the brick, one person could lift this up and slide just one of the barrel bolts to have it secure enough to walk a way for a min. This mean one person can put this on a window in usually 1 – 5 min. Everything else we looked at took time to install and or remove. This way of doing it, on a normal size windows take a min to put up and two min to take down. Simple and easy.